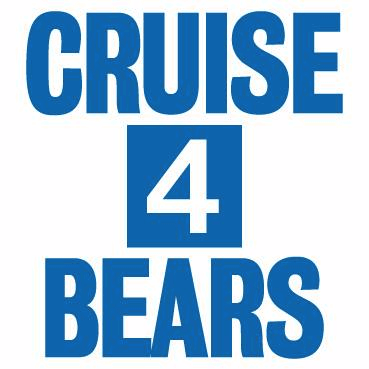 CRUISE (verb) 1) sail or travel about for pleasure, relaxation, or sightseeing. 2) look for a casual partner in a public place. FOR (prep.) Used to indicate the object, aim, or purpose of an action or activity. BEARS (noun) Gay community of men who tend to have hairy bodies and facial hair and those who love them.